It is said that no nation can attain it’s potentials or achieve its developmental strides without investing in its youth. As it is also often said, ‘youths are the leaders of tomorrow’ but, in a country where 40 per cent of its teeming youths are idle, doing virtually nothing, thereby involving in illicit drug abuse, election thuggery, cultism and prostitution, the future is blurry. To bridge the innovative gap in youth productivity and thereby making them gainfully employed, skills acquisition by whatever good means should be encouraged. Either through entrepreneurship skills development such as, tailoring, mechanical engineering, solar panels systems installations, and several others that will help take the youths off the street. In other climes, while youths are gainfully employed, being prepared for leadership in government, financial institutions, defense, medical field, religion and several meaningful venture, the reverse is the case in Nigeria. However, in recent times, skills acquisition in line with government’s policy have been propagated by both public and private entities to help reduce the unemployment rate amongst teeming Nigerian youths. To ameliorate this trend, Beni Lar, Member, representing Lantang North and South Constituency in collaboration with National Agency for Science Engineering Infrastructure, organised a five-day training programme for 40 lucky youths, who were trained in different fields of renewable energy, specifically solar energy and auto mechanics. The move by Lar, is to help them become useful to themselves, their families and the society in general. 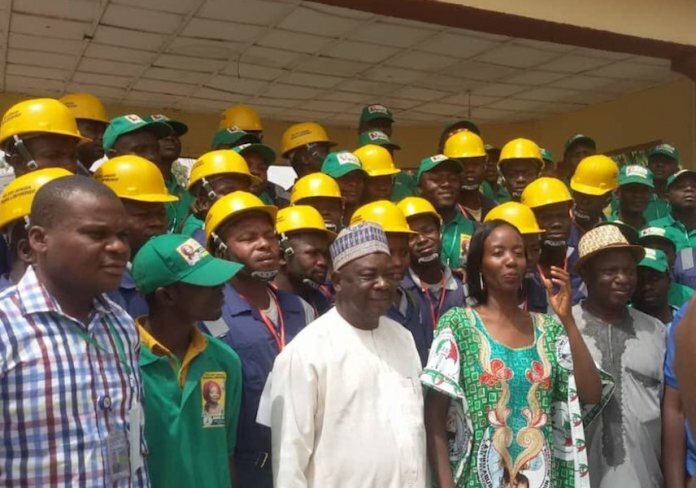 Beni, the daughter of the late Solomon Lar, while speaking at the sidelines of the five-days event, held in Lantang North Local government area of Plateau State, noted that, one of the things that actually made her run for office was to ensure that she helped the youths to be productive in her community. According to her, “I noticed that we have a lot of talented youths and some of them have dropped out of school. Some of them are educated but are not gainfully employed, they were just idling around the streets doing virtually nothing. I noticed that a lot of youths will come to my house in the morning, they will say, aunty; give me this, give me that. And I said, Why should I be giving you something when I can help you to use your hands become useful to yourself, your family and the society. So, after my first election, we started a youth empowerment programme. That is why you see we have a workshop. This is the first workshop we trained mechanics, radio technicians, TV technicians, carpenters, in conjunction with Industrial Training Fund (ITF) and the school of relevant technology. We trained about 150 youths between Lantang North and South. “And, all those youths, I made them write the Federal Government Labour Trade Test (FGLTT) to officially certified them as technicians around the country. Now many of them are gainfully employed as specialists in the police, some are in civil defence. They are all specialists now. So, I realised that, helping our youths through training and empowerment, is one of the best things you can do for this nation. Speaking further, she said: “I noticed that many people don’t like to fix their cars in Lantang, because, maybe the mechanics are not so well equipped. But, today, as you can see, they have more knowledge. We contacted the society of mechanics and the artisans, they provided those that came for the training. So, I think it is very important that we continue with this training. What is next is that, they have the basic tools to set up. Like now, you have seen a sample of how they install a solar panel, and they have a solar system working. 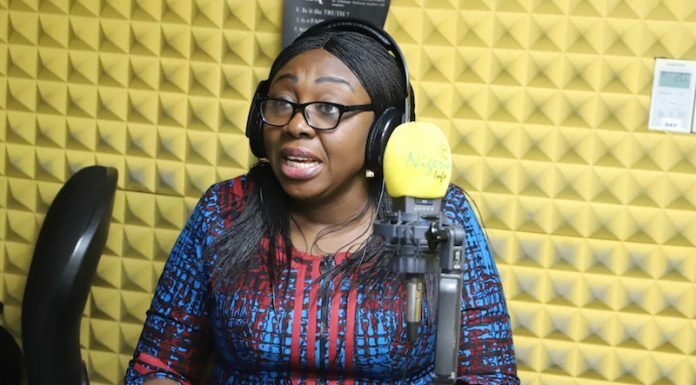 On Science and Technology funding, she said, “we know that funding of science and technology has improved significantly compared to when we first came on board, because the National Assembly intervened and made sure that for the government to improve the sector, they must match their words with action by increasing significantly the appropriation for science and technology. “That’s why if you go round, all our agencies, you will see, first of all, they have more equipped offices and facilities and even, the facilities and the equipment for training, they have most of them. For instance, the Nigerian Building and Road Research Institute (NBRRI). When we first started, their workshop in Ota, Ogun State, was more or less not functioning, but, now; their workshop is functioning very well. Similarly, Managing Director, NASENI Solar Energy LTD, Dr. Jafaru O. Mahmud, while speaking to the press shortly after the opening ceremony, said: “This event was initiated or its a collaboration between Hon. Beni Lar and the National Agency for Science Engineering Infrastructure (NASENI). It’s a capacity building event in two parts. “One of it is on renewable energy, specifically solar energy, and other one is on auto mechanics. She has installed close to about 2000 street lights. We call them stand -alone and she felt that it would be good if there are local expertise that can be maintaining these things. And that will also take some of the youths off the streets and will help them generate income, and also protect the environment the more. She felt that NASENI has a renewable energy outfit, the Naseso engineering limited. He added: “The other part is the discovery that the kind of cars that we use now are not the kind of cars we used to use in those days. Majority of the expertise we have, is through apprenticeship, from hand to hand, father to father’s friend, to a neighbour and things like that. These ones were used to the old ways, where the man who is repairing Peugeot is not in tune with what happened with the Toyota or Honda. So, she also had the feelings that it would be good that they are updated. Now, you use electronic and computers to check what is disturbing the cars, so, she wanted an upgrade of that. A female participant of the auto mechanic training, Deborah Langying, said: ”I am 23 years of age. I feel overwhelmed being involved in a programme like this. I really want to show my appreciation to Hon. Beni Lar for this empowerment. I actually achieved a lot of things here. I have been involved in auto mobile before now, but I am not really a trained mechanic. I honed my skills from one of my uncle’s down the street. He has been the one training me four years now. On challenges faced as a roadside woman mechanic, she said: “Being a woman and a roadside mechanic, I have faced a lot of challenges because the moment they bring a car to the garrage, most of the people think that I cannot handle it. They feel if they leave me with the car, I cannot do it. I think that’s the greatest challenge that I face. I wish people can just come with their cars and test by themselves and see what I can do.